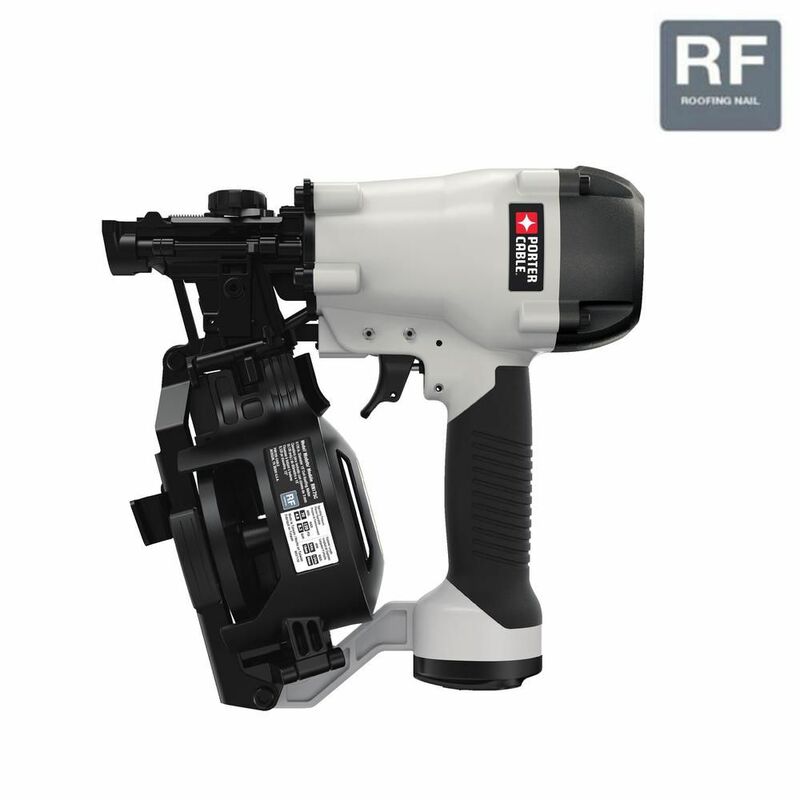 With a compact design, this 15 degree roofing nailer is 5% lighter for improved balance and control (compared to previous model). Designed for use with 15 degree 3/4 to 1-3/4-inch wire collated roofing nails and 120-nail magazine capacity, it handles a wide variety of roofing and siding projects with ease. Use it in sequential or contact firing modes. It is designed to resists jams, load quickly and easily, and it's compact and comfortable to hold with a rounded body and rubber grip. The efficient motor features an exhaust diffuser with tool-free adjustment, as well as a durable steel safety contact with dual carbide inserts to guard against wear and tear. For seamless transitions between firing modes, it features a selectable trigger, and the shingle guide locks down for consistent results. The Freeman PBR32Q 1-1/4 Inch 18 Gauge Brad Nailer is a professional quality, innovative home improvement tool. This brad nailer has a lightweight aluminum design and a tool-free adjustable exhaust that conveniently directs exhaust from your face, quick release nose for easy jamb clearing and tool-free depth adjust. This tool also comes equipped with Teflon O-rings, one piece drive blade, air filter, dust cap and dual spring magazine which makes the Freeman nailer the obvious choice. The Freeman 18 gauge 1-1/4 Inch Brad Nailer is great for interior and exterior finish and trim, furniture, cabinetry, crafts and hobbies. 15 Degree 1 3/4-inch Coil Roofing Nailer With a compact design, this 15 degree roofing nailer is 5% lighter for improved balance and control (compared to previous model). Designed for use with 15 degree 3/4 to 1-3/4-inch wire collated roofing nails and 120-nail magazine capacity, it handles a wide variety of roofing and siding projects with ease. Use it in sequential or contact firing modes. It is designed to resists jams, load quickly and easily, and it's compact and comfortable to hold with a rounded body and rubber grip. The efficient motor features an exhaust diffuser with tool-free adjustment, as well as a durable steel safety contact with dual carbide inserts to guard against wear and tear. For seamless transitions between firing modes, it features a selectable trigger, and the shingle guide locks down for consistent results. 15 Degree 1 3/4-inch Coil Roofing Nailer is rated 3.6 out of 5 by 75.